A few years back, a typical workplace was just a physical office space with employees working on phones and email with meetings confined to set working hours. Both technological advances, a dynamic work culture and global business practices have swiftly transformed the modern-day workplace. This emphasis on efficient collaboration between teams, employees, clients and vendors also requires a focus on productivity and performance. To achieve this goal, successful businesses all over the world have begun to adapt new strategies for digital collaboration and communication. The emergence of these diversified workplaces necessitates the need for digitally connected, real-time applications that empower team-based and collaborative environments, which are critical to overall efficiency and growth. In fact, a study by the McKinsey Global Institute found that productivity levels increased by as much as 20-25% among workers who use online social tools to collaborate. This shows that any organization, whether a startup or a Fortune 500 company, can transform itself and improve productivity by adapting value-added collaboration tools. The key to success, however, depends on the right selection and implementation of these value-added collaboration tools for business communication. With over 60 billion Smartphone users estimated by 2020, typing as a skill will be a necessity with no training required. Enabling instant messaging in your business now, will make your organization more productive and future ready. Moreover, the USP of a business oriented instant messaging application that separates it from other run-of-the-mill, consumer-grade IMs is that they are secure and help you maintain complete administrative control of your professional network. A cost effective instant messaging application will ensure efficient communication in real time within your organization. 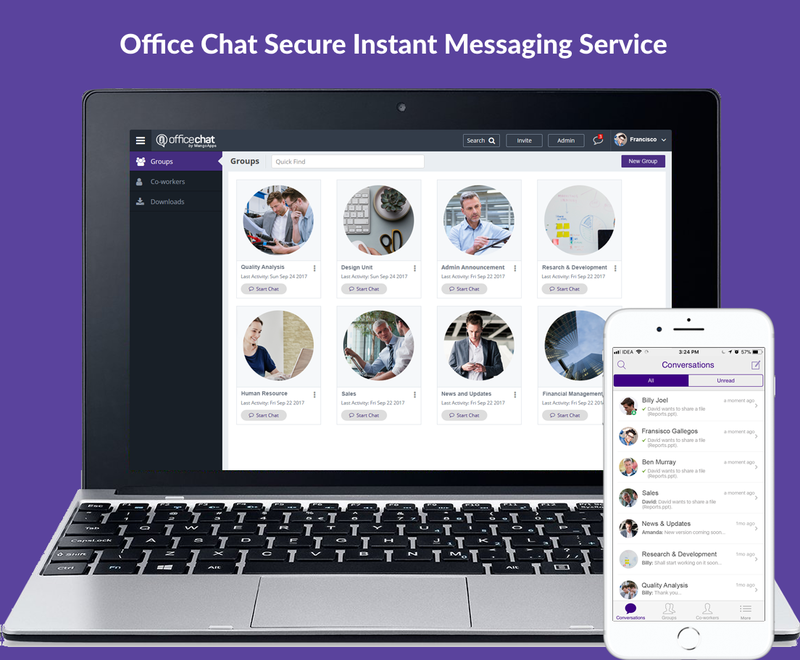 Office Chat is a secure instant messaging application for the business world designed for fast, action-oriented communication one-to-one and within teams. You can communicate with pictures, files, videos and audio messages on various platforms such as Web, iPhone, iPad, Android and Windows Desktop. The need for a Social Intranet platform can be summed up in five points: increased productivity, easier communication, better collaboration, increased employee satisfaction and better accessibility. With the rest of the world going mobile, shouldn’t your social intranet be accessible on all platforms? With centralized information being at the core existence of a company-wide intranet, benefits must extend to include efficient collaboration, ease of use and employee recognition. An advanced Social Intranet platform ensures that you can replace multiple redundant tools in your application with one solution. 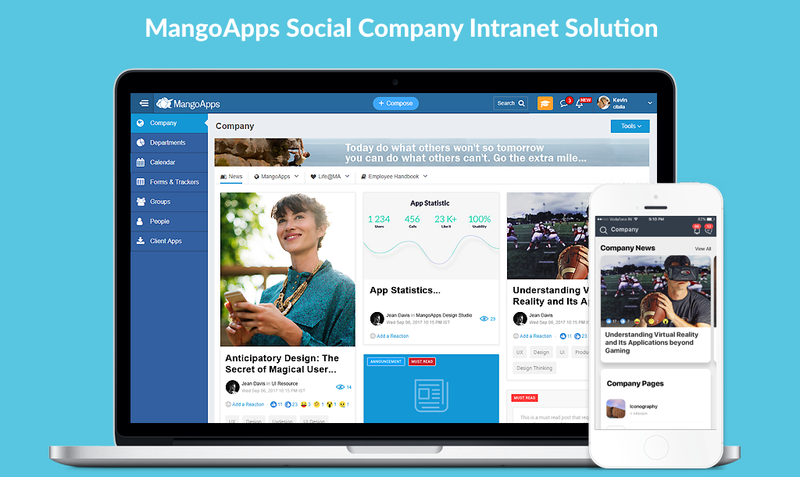 MangoApps social Intranet solution is the modern way to strengthen the internal communications in your company, keep the company’s content hub fresh by giving employees simple authoring and blogging tools and building a lively digital workplace with built in two-way engagement tools. The main purpose of collaboration software is to enhance productivity of individuals in a group or team within an organization in order to achieve a particular goal. A state-of-the-art collaboration application specializes in streamlining discussions and contributions and keeps all team members in sync to ensure the highest-level performance. It also ensures that projects and tasks can be created to manage critical information and resources. Users can users can keep their media (photos, videos, documents) in their preferred cloud storage systems, like Google Drive, Dropbox, and Box, and share them when required. 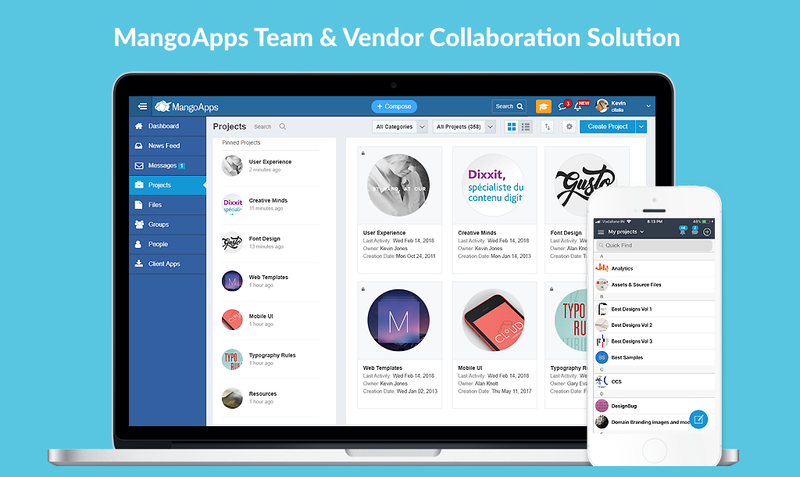 MangoApps team and vendor collaboration solution helps your employees, vendors, customers and partners work together in significantly better ways. Companies use MangoApps to drive alignment, ensure employee productivity, get competitive advantages and achieve better results. With numerous organizations having workplaces and representatives throughout the world, the capacity to utilize video conferencing to enable employees to collaborate and team up regardless of where they are on the planet, can have a huge impact on the productivity and profitability of its workforce. An effective Video Conferencing tool must help you to share screens along with keeping your team’s discussion organized seamlessly. 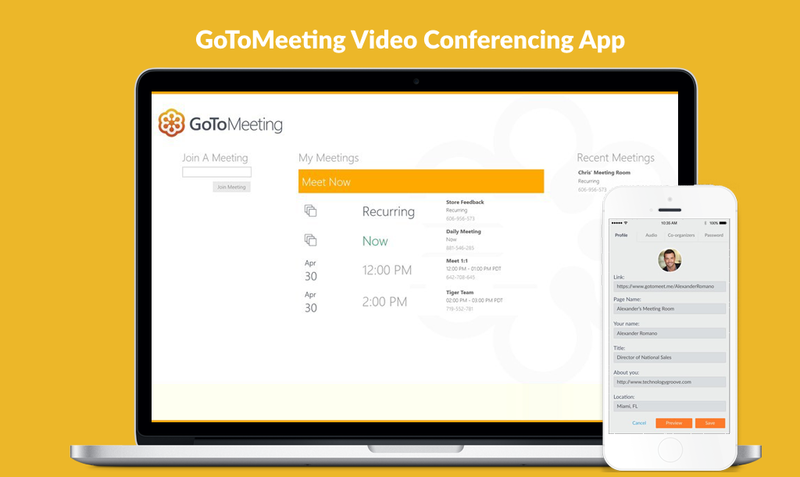 GoToMeeting is a video conferencing / online meeting tool that helps you to collaborate and share your screen with clients and colleagues by getting them all together in one place using just your web browser. Every successful business owner will tell you that you can improve your customer satisfaction by simply listening and interacting with them more. Applications can now help you to include live chats and ticketing systems to enhance the customer experience. With such customer servicing tools, you can allow support teams to analyze customer involvement, resolve queries and improve accountability all at the same time. 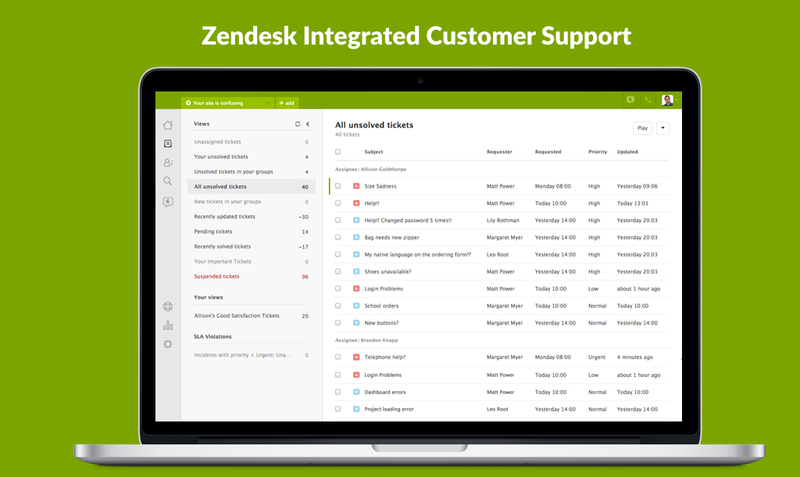 Zendesk is a customer service software and support ticketing system that can help you connect with your clients. Zendesk can be integrated to other platforms such as MangoApps and also has a mobile application. Which business communication application is most useful for you? Do you have any other favorites not already on this list?